There is truly nothing that excites me more than to see my lovely couples use their images in meaningful ways. With the growing popularity of Save the Date cards, it’s great to see more and more clients share their images with family in friends in what often serves as the first official announcement about their recent engagement and upcoming special event. 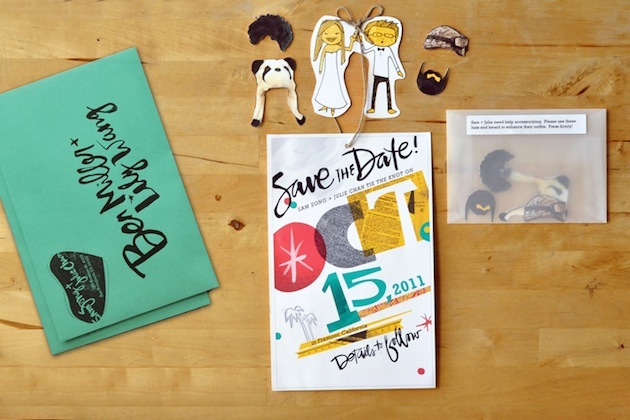 It’s easy enough to find plenty of ideas for Save the Date cards; just Google “Save the Date” and you’ll have access to a plethora of ideas for making the cutest, the craziest, the funniest and even the “greenest” card for your would-be guests. In some ways, the multitude of options is simply a precursor to the entire wedding planning process: ideas, ideas and more ideas, followed by decisions, decisions and more decisions. Because I’m such a fan of simplicity and giving couples tools for making the most of their images, here are a few, “Parisi Images approved” tips for making the perfect Save the Date for your wedding. So you’ve found the photographer (hopefully, that’s me! ), booked the engagement session, posed your heart out and now have a collection of awesome images! How do you decide what image will work best for your debut wedding correspondence? I suggest selecting one image to go on the front of the card, with two or three secondary images to include on the back or inside. The primary image–or “hero” shot–should be one where the both of you are in focus, thereby giving equal importance to each of you (and not one or the other); keep in mind that this may be some of your guests first introduction to your fiance, so the photograph should provide your guests with the best introduction possible. The secondary images should include a detail from the session (the rings are a nice touch), and can be less of you and more of the environment. Ultimately, the right photograph for your Save the Date is an image that both you and your partner love; one that exudes your personality, shows your faces and gives your guests a reason to proudly display the card in their home. Now that you’ve selected the best image (or images) for your card, it’s time to think about the design. As a trained graphic designer, I know a thing or two about design and meshing photography with design is one of my favorite things! Whether you plan to hire a designer for a truly custom card, are looking for a pre-made design from photo printing companies or are planning to DIY, these few design tricks will help you. First, use a maximum of two separate fonts and keep the hierarchy of the message clear. This means emphasizing your names and date with text that stands out the most and not allowing any secondary information to compete for attention. Check out this great post with some basic design tips for non-designers. Second, if you are using more than one image, lay out the images so that the subjects look “in to” each other. This means that if you have one image where you are looking toward the left and another image with your fiance looking toward the right, pair them side by side, with your image on the left and your fiance’s image on the right. Finally, consider whether you want to make your card a bi-fold (more traditional) or a postcard. A bi-fold gives you more room for images and text but a postcard will save you money. Not only will you save dough not having to purchase envelopes, but postage is cheaper too! Just keep in mind that the United States Post Office has strict guidelines for where you can and cannot print on the back of a postcard. Be sure to review the guidelines to avoid getting your cards back with “undeliverable” stamped across your lovely faces. For the DIY-ers in the crowd, you can definitely print cards and images from a desktop printer, although you may be sacrificing quality for cost. Nowadays, there are plenty of great online options for printing. Some of my personal favorites include Moo.com, Mpix.com and Mint.com. For a fancier approach, you may also want to look into letterpress printing–and old-school way of printing that uses letter forms pressed directly into paper for a print you can “feel.” Many boutique print shops now offer letterpress and while the technique does cost more, the result is beautiful and keepsake-worthy. I’m a personal fan of The Cranky Pressman (source of Parisi Images’ branded materials) and, for a local to Cincinnati choice, Steam Whistle Press is a great option. Finally, a huge thank you to Cally and Tej and Amy and Troy for sharing their beautiful Save the Dates with me so I could include them in this post.